Hello there, I'm Mactin and I have a youtube Channel where I upload let's plays. 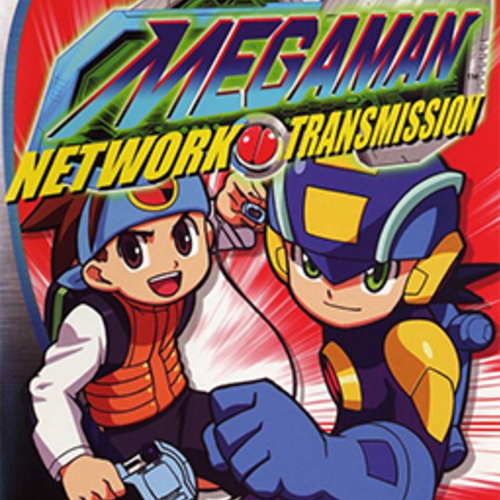 My next let's play that I am going to do is Mega Man Network Transmission for the Nintendo Gamecube. Now people have let's played the game way before me so I want to make this one different by putting in voice actors for this one. 1.YOU MUST HAVE A GOOD MIC (30%): You could have a decent mic and still would be in the running to be cast but know that I want to have the let's play to have great quality. And a great mic helps that. Now I can't offer any money what so ever, but you will get experience in voice acting and you can show other people your voice acting in my let's play of this game. Once I choose finalist I will want to talk to you on Skype and ask you some questions. If your chosen then I will call you back. I will also need your contact info as well. NOTE!!! : Having watch Megaman NT warriors is a plus as I want the voices to be like the ones from the series. 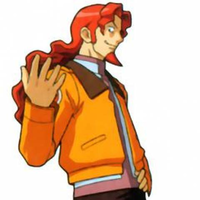 I'm looking for an Irish Accent like the one in the NT Warrior English dub. "Fireman!!! What are you doing stop this nonsense before you burn the who Net!!!" *Defending himself* "I didn't order Fireman to attack the net like this. I had no control over his actions, all I did was give him an anti-virus program. A classmate and close friend of Lan, and the operator of Roll.EXE. The two have always been very close growing up. Mayl, being the more mature and intelligent of the two, is often having to beat some sense into Lan when he gets himself into trouble. The two do occasionally have oppositions, but the bickering only brings them closer. Mayl sometimes shows that she may have romantic feelings towards her lifetime friend. EDIT: I'm looking for a voice based on the Mega Man NT Warrior anime. "(With confidence) Jack in Roll,power up!!!!" "(Worried and in distress) Mega Man can handle this guy but Roll your too hurt Jack out quick!!! before it too late!!.....I. I don't want to lose you." "(Relieved) Thank goodness Lan. You and Megaman made it out saftey." 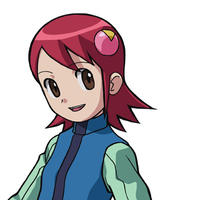 Roll is the main female NetNavi of the series. 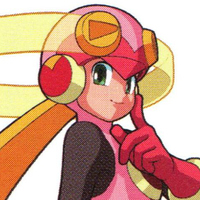 Though she finds herself in many damsel in distress situations, she is combat-enabled and often assists MegaMan in both the games and the anime. EDIT: I'm looking for a voice based on the Mega Man NT Warrior anime. "Mega Man, I am going to need to help deal with his net navi!!" "Hey Mega, how it's hanging?" 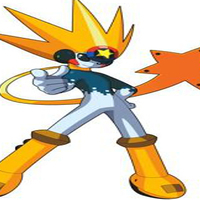 "(improvise a scene with her talking to Mayl)"
Starman exe aka known as NovaMan.EXE in the English dubbed anime, is a NetNavi and member of the WWW. 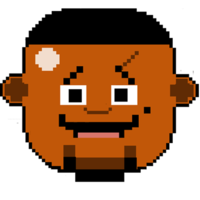 In the game however, he is the one distributing the virus. I'm opened to any voice whether playful, serious or clam. Yeah, that Zero Virus is pretty scary. I know how you feel. All it does is you slow down your processes, but once you're infected you can't get rid of it in the usual way. Bah... So you figured me out. Ah well. I made a juicy profit already. I don't want the center on my back, so I'll see you. Heh, I can't believe a navi made it this far....who are you? Ah that navi again!! Heh...you sure are persistent.